In our last blog titled the changing world of healthcare, we outlined quite a few insurance basics. Now that you have a framework established for how your insurance works, we're excited to present some strategies to help you save money in this ever-changing world! 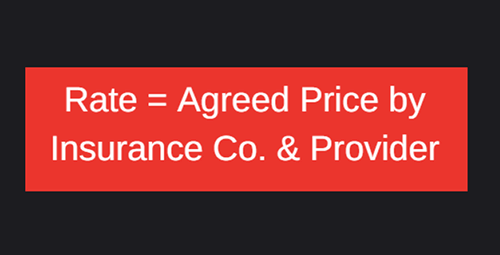 You may know or recall that a rate is the amount of money an insurance company and a provider of healthcare agree that a specific treatment is worth. It's as simple as determining how much you would personally pay someone for mowing your lawn or performing any other service for you and it's the starting point in figuring out how much you are going to have to pay. When insurance companies are negotiating rates on your behalf, there is one factor above all else that will dramatically influence that rate. The LOCATION! 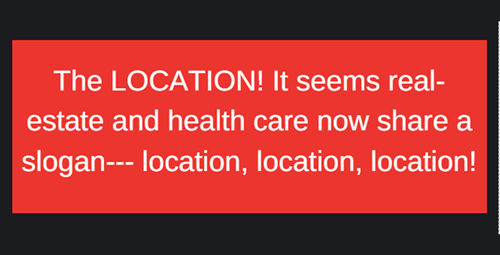 It seems real-estate and health care now share a slogan: location, location, location! The fancy health care term for this phenomenon is "site of service." Simply put – the physical location where the service is being performed. You would not believe some of the rate (cost) differences for the same exact service among different locations! The Right Rate and the Right Location = Cost Savings to You! 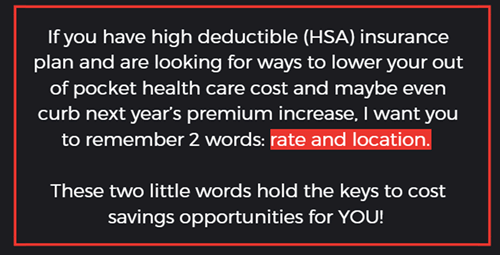 If you have a high deductible (HSA) plan, you're going to pay every bit of your health care cost until your deductible is met and probably a co-insurance until your out of pocket annual maximum is met. 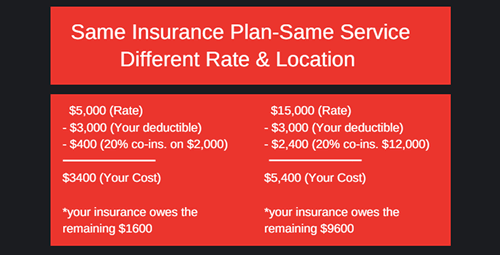 So, if you have a $6,000 deductible and can find rates for the same service for anywhere from $10,000 to $2,000 that is big money! At least it sure would be in my house! Here is a hypothetical scenario illustrating how this could work out. If you picked the location with the $15,000 rate you have spent an extra $2,000 for the same service and you're very well on your way to a premium increase next year! Isn't this an amazing revelation! We're talking more potential savings than you could tap into on your very best day of couponing, car-pooling and online searches and all of the other painful things we do to save a buck all combined! In fact, Franklin Trust estimates $37.8 BILLION is saved annually across the country just by the privately insured like you choosing a surgery center for elective outpatient surgery. They estimate an additional $10.5 BILLION MORE can be saved in just 50 major cities alone by more people having surgery in ambulatory surgery centers (ASC) this year, and Franklin Trust is not alone. Study after study conducted using insurance claims data is producing similar findings. This is a ton of money folks and it isn't just someone else's money we're talking about. This is YOUR money. It can be a lot to take in but we know the conversation has to start somewhere. At CSA Surgical Center, we recognize the significance of your health care experience on you… mind, body, soul and bank account and are happy to share our knowledge of cost savings opportunities. We hope this blog serves as a reference guide for you as you navigate the brave new world of health care.